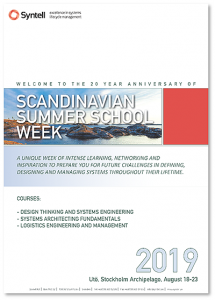 Welcome to the 20-year anniversary of Scandinavian Summer School! Welcome to an inspiring and challenging week course led by some of the best teachers in their fields. This tried and tested recipe contains a perfect combination of lectures, group work and social activities in an inspiring environment. Summer School is held between August 18 to 23, 2019 and has three parallel courses. • Design Thinking & Systems Engineering, with Dr. Dinesh Verma, Stevens Institute of Technology, USA and Tom Strandberg, CSEP, Syntell AB. • Logistics Engineering and Management, with Mike Cost, Syntell UK, and Stuart Allison, MCIPS, Syntell AB. Guest lecturer: TBD. • Systems Architecting Fundamentals, with Prof. Hillary Sillitto, ESEP, Sillitto Enterprises, UK and Peter Henriksson, Syntell AB. All our teachers are highly qualified to teach in their respective field and have the experience and understanding of your job specific training needs. A day at the Scandinavian Summer School Week consists of classes between the hours of 8:30 to 17:00 and after that follows dinner, group sessions and leisure activities. Read more about the week in the brochure! Utö is an island in the archipelago of Stockholm and is known for its beaches. Utö houses some of Sweden’s oldest iron mines. The island is well-known for “Utö Wärdshus”, and the cliffs of Rävstavik. For the adventurous – take a bike ride to Ålö just south of Utö and enjoy the white sandy beach! Teachers will be organizing activities and tours both morning and evening – but it is voluntarily to attend these. 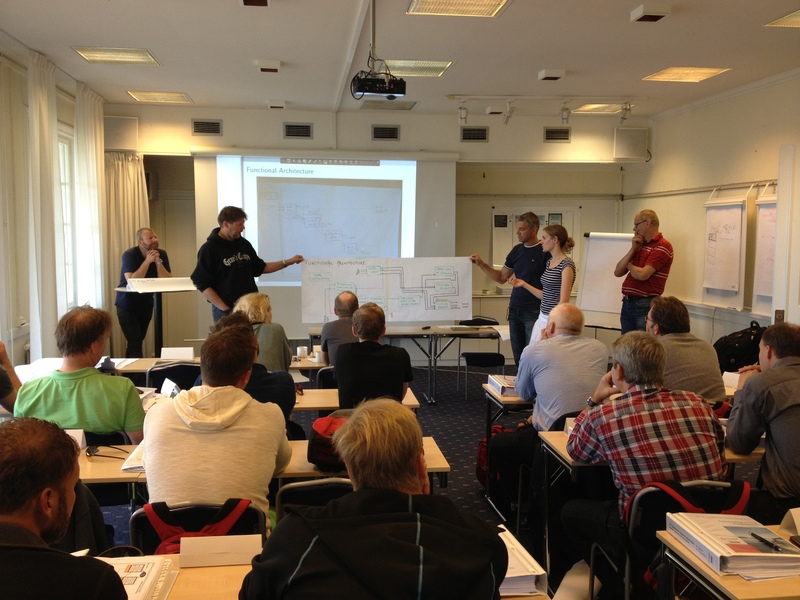 Click here to see our courses at Scandinavian Summer School Week! 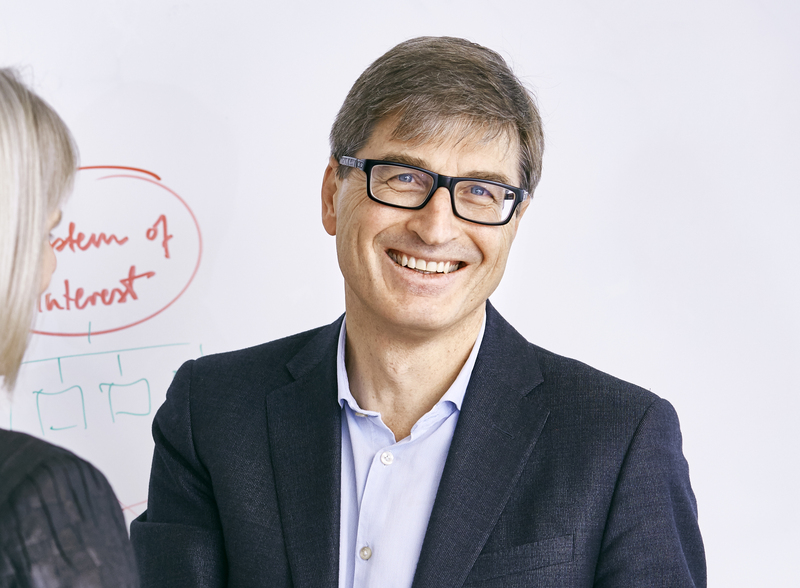 Design Thinking and Systems Engineering – This course will provide you with the systemic mindset you need to identify the real customer needs and hence solving the right problem. You will be given a systematic and pragmatic approach to define and design creative solutions that not only meet customer needs but also those of other stakeholders. The course discusses fundamental concepts and processes of design thinking and systems engineering, along with applicable methods and tools. Systems Architecting Fundamentals – In an ever changing market, how do you manage complexity and develop successful systems and products that are adaptable, resilient and sustainable? This course starts with describing WHY a good architecture is critical for sustained success when dealing with complex systems in a changing environment. You will be introduced to the concepts, principles and practice of systems architecting and design as well as the necessary competencies for a system architect. Logistics Engineering and Management – The Summer School on Logistics Engineering and Management provides insight into the through life management of systems from inception to retirement. It covers Logistics Engineering methods and tools and how supportability is addressed, analyzed and measured as a part of the Systems Engineering process. The management methodology covers aspects such as managing, contracting, planning and methods. 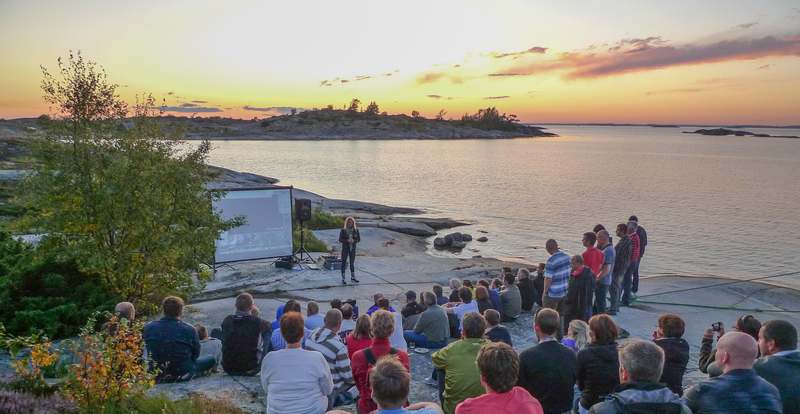 Watch our movie from a previous year at Utö!